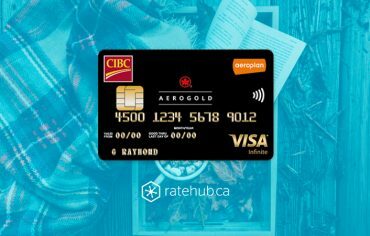 Every year, Ratehub.ca rounds up the best credit cards in the country to help Canadians wade through the financial weeds to find the card most suited to their spending habits and lifestyle. Like clothing, credit cards aren’t one-size-fits-all. We’ve said this before — the best one for you depends on your financial situation and may be one that saves you money via a low interest rate, balance transfer offer or cash back, or provides value through rewards points that can redeemed for travel and merchandise. Alongside a few standout new entrants to the market, several of the best credit cards in Canada for 2018 have also made it on our list for 2019 because they continue to offer competitive rewards. To see how the cards below fit with your individual spending profile, compare multiple credit cards side-by-side with Ratehub.ca’s credit card calculator. 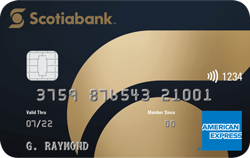 The Scotiabank Gold American Express has a rich rewards structure and offers four Scotia Rewards points for every dollar spent on gas, groceries, entertainment and restaurants (the equivalent of a 4% return in travel rewards). For all other purchases, you get one point per dollar. Scotia Rewards can be redeemed for travel (flights, hotels, car rentals, cruises, vacation packages), gift cards, and merchandise from major retailers like Best Buy and Apple. The card has an annual fee of $99. New accountholders can earn 15,000 bonus points (value: up to $150) when you make $1,000 in everyday purchases in the first three months. Along with offering quadruple the points on several common spending categories (including gas and food purchases), this card has a truly flexible points program. Scotia Rewards points can be used to cover all taxes, fees and surcharges for travel, there are no blackout dates, and you can fly on any carrier. Trips can be booked through Scotia’s full-service travel agency or booked on your own. When it’s time to pay, points can be used to cover the cost up front, or you can charge the cost to your card and pay it off later with points. Scotia Rewards points can also be converted to Scene points (and vice versa), which are redeemable for movie tickets, snacks and downloads through Cineplex. The Scotiabank Gold American Express card’s insurance coverage is extensive and includes $1,000,000 in travel medical and $500,000 in travel accident insurance, $1,000 for lost or delayed baggage coverage per trip, and more. The card includes a 30% discount to VIP airport lounges worldwide with a Priority Pass membership (total: $65USD; $32USD fee also applies per visit) and 24/7 complimentary concierge services. After debuting to a lot of buzz, the American Express Cobalt Card has retained a spot as one of the best credit cards in Canada for 2019 for its wide variety of rewards categories. With this card, you’ll earn five Membership Rewards points per dollar on “eats and drinks” (groceries, restaurants, bars, cafés, and food delivery), two points per dollar on “travel and transit” (public transportation, taxis and Uber, hotels, or travel by air, rail, water, or road transport), and one point per dollar on everything else. Membership Rewards points are also redeemable for gift cards, merchandise from retailers such as Amazon.ca or Ticketmaster.ca. First and foremost, the unique and lucrative rolling bonus structure. For the first year of card membership, you can earn 2,500 bonus points for each month you spend at least $500 on the card — up to 30,000 points (the equivalent of $300 in free points). The card also offers one of the highest returns on food purchases (5% back in travel rewards) and is among the few to offer bonus points on taxis and public transit purchases. The $120 annual fee is charged at a more manageable $10 a month. Plus, redeeming for hotels and flights is easy, with the ability to use points to cover taxes and fees and fly on any airline with no blackout dates or seat restrictions. The card includes a suite of insurance benefits including travel emergency medical ($5,000,000 for 15 days) and travel accident ($500,000), $500 for flight interruption and baggage loss/delay, as well as car rental collision/loss damage waiver for vehicles up to $85,000. Through American Express Invites, cardholders get access to ticket pre-sales and reserved seats for concerts, movie screenings and culinary events, along with other special offers. As its name clearly suggests, the TD First Class Travel Visa Infinite is designed for frequent travellers in mind. For every dollar spent on travel booked via ExpediaforTD.com (which includes the same wide array of airline and hotel options as Expedia.ca), this card will earn you 9 TD points. All other purchases made on this card will give you 3 TD points per dollar. For reference, 1 TD point = $0.005, so that adds up to 4.5% in rewards on Expedia spending and 1.5% on everything else. New applicants who meet the card’s income requirements ($60,000 per individual or $100,000 per household) will also have the annual fee waived for the first year and can earn up to 80,000 TD bonus points when $1,000 is spent on the card in the first three months. 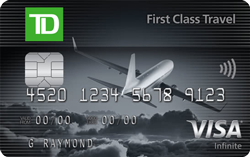 As far as travel credit cards go, few offer as many rewards (4.5% back per dollar) on airfare, hotels, and vacation packages as the TD First Class Travel Visa Infinite. So, if you’re a frequent flyer who spends big on travel, this card could be the right fit for you. Through the ExpediaforTD website, cardholders also have the choice to pick flights from hundreds of airlines as opposed to only a handful of partner carriers. The card’s welcome offer is also undeniably enticing and delivers up to $520 in additional value when factoring for the annual fee waiver and the points bonus. This card includes an extensive suite of travel insurance benefits including $1,000,000 in emergency medical out of province coverage, up to $1,500 in trip cancellation coverage per person, $500,000 in common carrier travel accident insurance, and more. This card offers between 5% and 10% off car rentals from Avis and Budget locations, concierge service, as well as a 20% discount on annual Priority Pass airport lounge memberships. With the BMO World Elite MasterCard, you’ll earn three BMO Rewards points for every dollar spent on travel, dining and entertainment purchases and two points per dollar on everything else. Points can be redeemed for travel (flights, hotels, vacation packages, car rentals), gift cards or merchandise. This card also has one of the most generous welcome offers on the market: as you’ll get 35,000 bonus points after you spend $3,000 on the card in your first three months. The card’s $150 annual fee is waived for the first year. 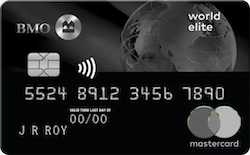 From perks to flexibility, the BMO World Elite MasterCard is one of the most rewarding travel credit cards on the market. The card’s welcome offer is one of the strongest of any travel card on the market and delivers new cardholders with a combined $400 in value in the first year. BMO Rewards points can be used to cover travel taxes and fees, and you can fly on any airline with no blackout dates. The card also includes an annual Mastercard Airport Experiences membership for VIP airport lounge access around the world, plus four complimentary passes per year ($140 value). This card has you covered with World Elite travel insurance, which includes $2.5 million in travel medical (up to 21 days, under age 65) and $5,000,000 in travel accident coverage, up to a maximum of $5,000 in trip cancellation coverage, and more. The BMO World Elite MasterCard’s most stand-out perk is easily the fact it offers a free Mastercard Airport Experiences membership with four complimentary passes per year. 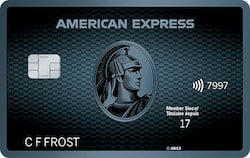 Additionally, it also comes with concierge services, purchase protection, and extended warranty on most card purchases. The Scotia Momentum Visa Infinite offers a strong return rate on common household spending categories. With this card you’ll earn 4% cash back on gas and groceries, 2% on drugstore purchases and recurring bill payments, and 1% on all other purchases. As a special offer, earn 10% cash back on everyday purchases for the first three months (up to $200). The card has a $99 annual fee, but it’s waived for the first year for new applicants. Cash back rewards are refunded once a year and can be applied to your credit card statement or deposited into an eligible Scotiabank chequing account or savings account. Cash back credit cards are popular for a reason — the rewards are tangible. The card’s tiered earn rate rewards anyone who spends a big portion of their budget on some of the most common everyday expenses like gas, groceries, recurring bills and drugstore purchases. This card also has the best cash back welcome offer on the market with 10% back on all purchases for the first three months (up to $200) and includes several perks offered to Visa Infinite cardholders such as complimentary concierge service and access to the Visa Infinite Dining Series. Even though it’s a cash back card, it has a strong travel insurance package that includes emergency medical and accident, trip interruption, baggage loss/delay and car rental collision/loss insurance. 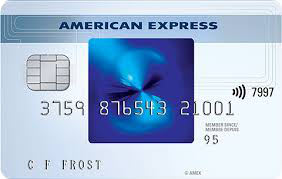 The SimplyCash Preferred Card from American Express offers a lucrative 2% cash back on every purchase. For the first six months, new cardholders can even earn a welcome rate of 5% cash back (up to $300) on all their spending. Cash back is refunded once a year as an account credit. At 2%, the SimplyCash Preferred from AMEX offers the highest flat cash back rate on the market. Since it offers the same cash back on everything, its rewards are easy to understand and you won’t have to think about bonus categories, merchant codes, or strategically shopping based on earning multipliers. This card also comes with a special welcome rate (5%), which while not unique, does last for up to the first six months of card membership. Typically, most cash back welcome rates only last for up to three months. If you need to pay down existing debt, the SimplyCash Preferred Card offers a special 1.99% introductory interest rate on transferred balances in the first six months. There’s no balance transfer fee charged, but the offer is only available at time of online application. The card includes also 24/7 customer service, travel accident insurance coverage, a free supplementary card and access to American Express Invites. 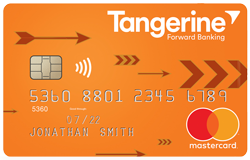 The Tangerine Money-Back Card earn yous 2% cash back in two chosen spending categories (or three categories when you also open a Tangerine Savings Account) and 0.5% on everything else. There’s a total of 10 categories to choose from including restaurants, gas, groceries, hotel stays and more. Two percent is one of the richest return rates for a no fee credit card. The freedom to choose your bonus spending categories is also great, as is the fact your cash back is refunded on a monthly basis (instead of the standard annual reimbursement). This card offers a 1.95% promotional interest rate on balance transfer for new cardholders for the first six months. Aside from that, this card is a true no frills card and offers little in terms of side perks. If you carry a balance on your credit card from month to month, you shouldn’t be chasing rewards — you also shouldn’t be paying a high interest rate. 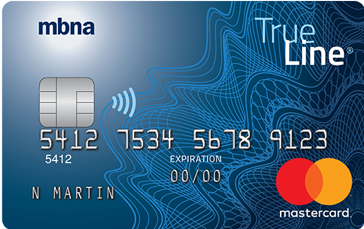 The True Line Gold MasterCard from MBNA currently offers the lowest fixed interest rate for purchases in Canada at 8.99%, which is half the interest rate of the typical rewards credit card. This card also comes with a 0% interest rate for balance transfers for the first six months (plus a 3% fee charged on the amount transferred). This card does have a $39 annual fee. This card stands out for two reasons: 1.) it offers the lowest fixed interest rate on purchases in the country, and 2.) it currently has the lowest promotional interest rate for balance transfers. So, whether you anticipate you’ll carry a balance or are looking to consolidate and pay off high-interest debt from other cards, the True Line Gold MasterCard can help you save a considerable amount of money on interest. Fraud protection and access to 24/7 customer service. The True Line MasterCard is the no fee version of the Gold card mentioned above. This no fee card offers a super low 0% promotional interest rate on balance transfers for the first ten months when signing up (there’s a 3% fee charged on the amount transferred). It also has a fixed interest rate on purchases of 12.99%. This card offers a chance to consolidate and pay off debt with the lowest promotional interest rate on balance transfers on the market for a ten month period and charges no annual fee. Plus, the promotional rate stands for up to 90 days after your account is opened, granting you some time to plan out your debt consolidation strategy. Moreover, after the ten month promotional period is up, the interest rate increases to 12.99% (not 19.99% like several other credit cards). 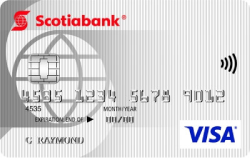 To help consolidate and pay off credit card debt, the Scotiabank Value Visa offers a special introductory interest rate of 0.99% on balance transfers for the first six months. 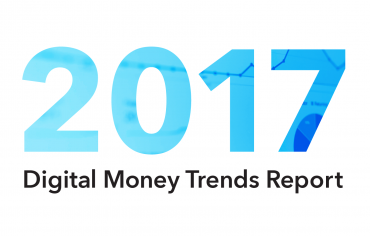 The interest rate for purchases, cash advances and balance transfers is 12.99% across the board. Even with an annual fee of $29, the card can still save you money by offering one of the lowest balance transfer rates currently available on the market in Canada. 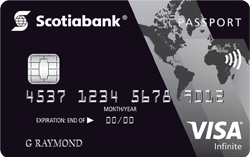 And unlike other cards, where the interest rate spikes to as high as 25% after the introductory period ends, the Scotiabank Value Visa balance transfer interest rate will only go up to 12.99% after the first six months are up. Get discounts of up to 25% at participating AVIS car rental locations worldwide. The Scotiabank Passport Visa Infinite gives you two Scotia Rewards points for every $1 spent on eligible grocery stores, dining, entertainment (including movie theatres, musicals/plays, orchestras, concert tickets) and daily transit purchases (including buses, subways, taxis, limos, trains, and ferries), and one point per dollar on all other purchases. New cardholders can earn 30,000 bonus points (value: $300) when you make $1,000 in everyday purchases within the first three months. It’s currently the only no foreign transaction fee credit card issued by one of Canada’s Big Six banks. It’s the cherry on top of a number of perks including a 30,000 points bonus and Priority Pass membership with six free visits per year to lounges worldwide. As with other Visa Infinite cards, cardholders have access to the Visa Infinite Luxury Hotel Collection and Visa Infinite Dining Series. 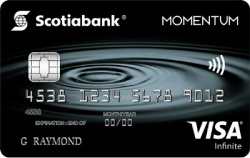 In addition to the hearty welcome bonus, if you spend at least $40,000 in purchases annually on your Scotiabank Passport Visa Infinite account, you’ll earn an additional 10,000 bonus Scotia Rewards points. The card includes travel emergency medical and travel accident insurance, trip cancellation, trip interruption, flight delay, baggage delay and loss insurance, and car rental collision/loss damage waiver. You can also pick up one free supplementary card. 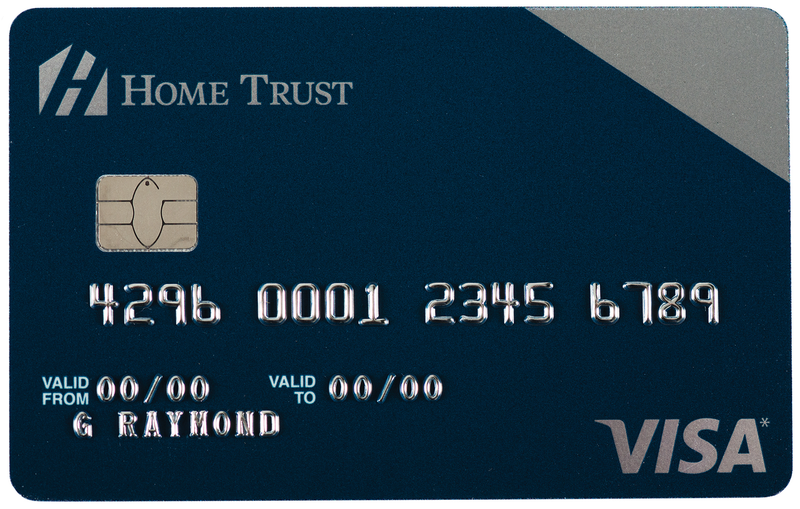 Besides the Scotiabank Passport card, the Home Trust Preferred Visa is one of the only other cards currently available in Canada that doesn’t charge a foreign transaction fee. This card also doesn’t charge an annual fee and offers 1% cash back on all purchases. This card isn’t available to residents of Quebec and has a limit of 10 authorized transactions per day. 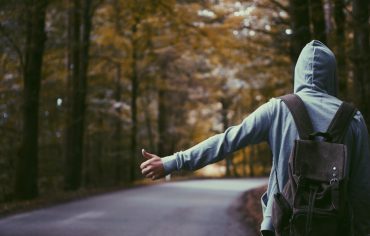 While the no foreign transaction fee is its main appeal, the Home Trust Preferred also offers a free roadside assistance membership. Plus, with no annual fee, it’s a good card to keep on hand if you make a lot of purchases in foreign currencies. Car rental collision insurance and roadside assistance at no extra cost. 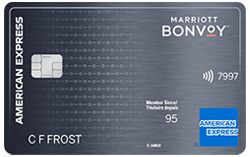 The Marriott Bonvoy American Express Card is specifically made for hotel rewards, making it an excellent card for frequent travellers. With this card, you’ll earn five points for every $1 spent on eligible purchases at all Marriott properties, and two points per dollar on all other purchases. Points can be redeemed for free nights at more than 6,500 hotels and resorts worldwide. The card has an annual fee of $120. As a bonus, new cardholders can earn 60,000 bonus points after making $1,500 in purchases on the card within the first three months. The recent merger between SPG and Marriott’s rewards programs means there are more than 6,500 hotels worldwide under this loyalty program, so you’ll definitely be able to find somewhere to stay. Hotel brands include Marriott Hotels, Starwood Hotels and Resorts, W Hotels, St. Regis, Ritz Carlton, Sheraton and Delta. The card’s strong welcome points bonus also helps to cement the card’s place on this list. On the anniversary of opening your account, you’ll receive one free night at eligible hotels and resorts worldwide. If you make $30,000 in purchases on the card annually, you’ll also be upgraded to Marriott Bonvoy Gold status. The BMO SPC CashBack MasterCard is an ideal choice for young adults stepping into higher education who are looking to get a first credit card and establish their credit history. This card has no annual fee or income requirements and offers a simple and straight-forward 1% cash back on all purchases. Additionally, it includes an SPC Membership, which will earn student cardholders an additional 10% to 15% in savings at select retailers. This card is easy to qualify for, offers a great earn rate of 1% for a starter card, and charges no annual fees. Student cardholders can also get additional discounts at select retailers thanks to the included SPC membership. Last but not least, this card further boosts students’ ability to earn rewards with its welcome rate of 5% cash back on all purchases for the first three months (up to $100). Purchase protection and access to BMO Extra Deals (which includes access to concerts, movie premieres, sports events, and more). How Installing a Pool Affects Your Home Insurance Is Renting in Toronto a Waste of Money?